FairXchanged.com (“FairXchanged”) is committed to protecting your privacy. This Privacy Statement (“Statement”) sets forth our current privacy practices with regard to the information we collect when you interact with our website. By accessing the website at www.fairXchanged.com (the “Site”), you acknowledge and fully understand this Statement and consent to the information collection and use practices described in this Statement. Other than as expressly set forth in this Statement, nothing in or omitted from this Statement limits FairXchanged’s privacy practices. FairXchanged collects certain information from and about its users by, among other things, directly from our web server logs, from users, and with cookies. FairXchanged may use Internet cookies to personalize or enhance your user experience. An Internet cookie is typically a small text file that is placed on your hard disk by a web server. FairXchanged reserves the right to share site statistics with partner companies. Visitors to the Site can register to purchase goods or services. 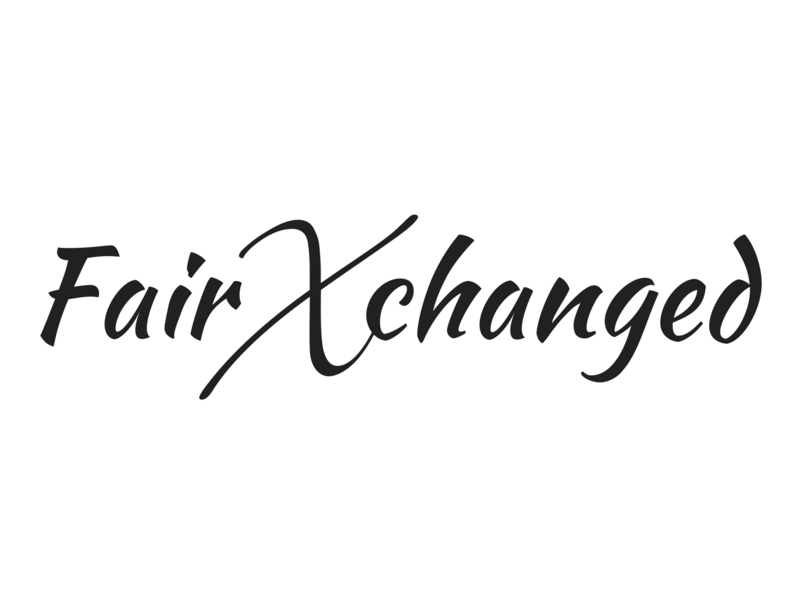 If you register, FairXchanged will request some personal information such as name, address, e-mail address, telephone number, facsimile number, account number and other relevant information. FairXchanged may also request financial information. If you purchase by credit card, this information may be forwarded to relevant credit card providers. For other types of registrations, FairXchanged will ask for the relevant information. You may also be asked to disclose personal information to FairXchanged so that FairXchanged can provide assistance and information to you. For example, such data may be warranted in order to provide online technical support and troubleshooting. To protect FairXchanged from liability as FairXchanged deems appropriate in its sole discretion. In connection with a merger, acquisition, sale or liquidation of FairXchanged. The Site may contain electronic images known as Web beacons – sometimes also called single-pixel gifs – that allow FairXchanged to, among other things, count users who have visited those pages and deliver co-branded services. FairXchanged may include Web beacons in promotional e-mail messages or newsletters to determine whether messages have been opened and acted upon. Some of these Web beacons may be placed by third-party service providers to help determine the effectiveness of advertising campaigns or e-mail communications. These Web beacons may be used by these service providers to place a persistent cookie on your computer. This allows the service provider to recognize your computer each time you visit certain pages or e-mails and compile anonymous information in relation to those page views, which in turn enables FairXchanged and our service providers to learn which advertisements and e-mails bring you to the Site and how you use the Site. FairXchanged.com has the discretion to update this Statement from time to time. When FairXchanged does so, FairXchanged will also revise the “updated” date at the top of this page. FairXchanged encourages you to periodically review this Statement to stay informed about how FairXchanged is helping to protect the personal information FairXchanged collects. Your continued use of the service constitutes your agreement to this Statement and any updates.